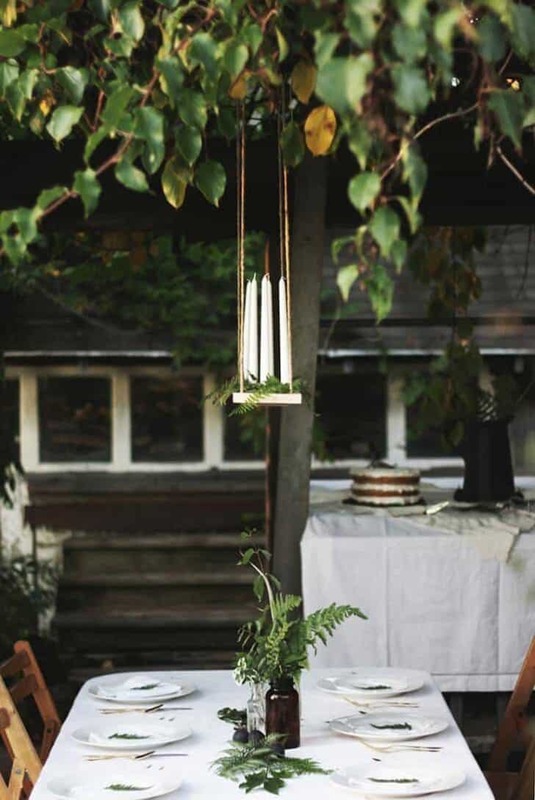 For an evening on the veranda, nothing like using a chandelier to create a warm and friendly atmosphere. Aged metal, or more contemporary chandeliers are popular decorative accessories because it allows a unique decor. 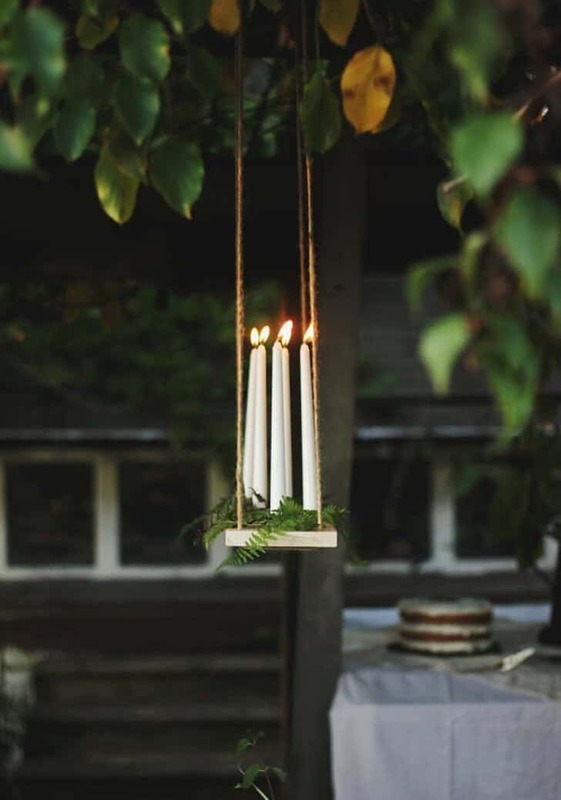 A one or more branches, the chandelier can be equipped with small or large candles. Depending on the size and number of candles, it is possible to create a multitude of atmosphere, the more intimate to the more baroque. Use a drill bit the same width as your rope and drill completely through the wood in these four spots. Mark out spots for your candles. I didn’t measure them out exactly, I just had them scattered on the board. 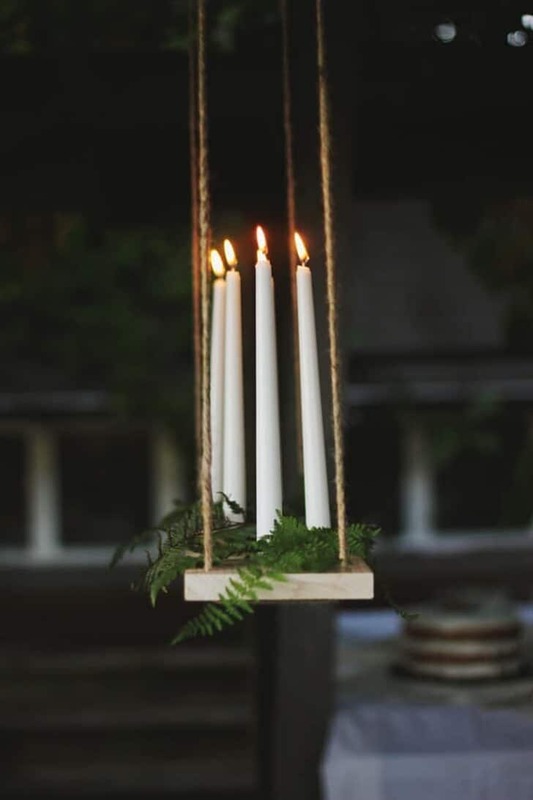 Use a forstner bit the same width as your candle’s base to drill 80% of the way through the wood at each of those spots. Don’t go all the way through! Cut two long pieces of rope. (Length will depend on where you want to hang it.) Take one and put the ends of the rope up through the bottom of the board where you drilled the holes on the ends. (There should be rope between the two holes on the underside of the board.) Pull the ends of the rope up and tie them together. Repeat with other end. Put candles in place. You can use a bit of glue if they are at all loose. Now you can hang each end from hooks or untie the ropes and tie them around a bar that is already at the space. 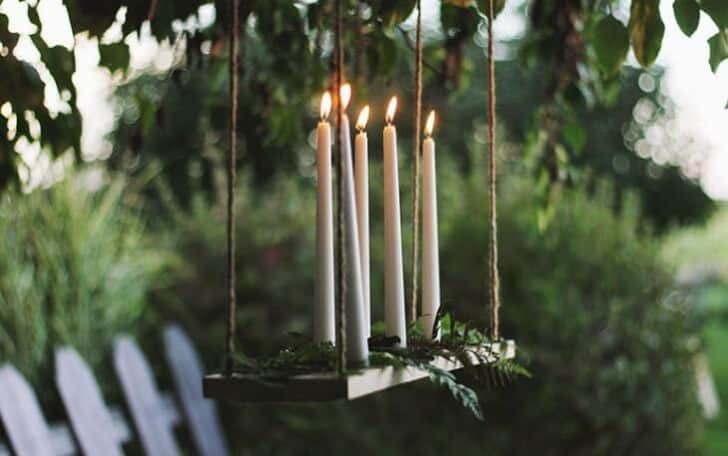 Make sure you decorate it with some ferns or moss or flowers!